I was on the fence about whether I was going to see this one until I learned it was directed by Tom Hooper, whose The King’s Speech was stunning. I thought he would be good choice to bring out the subtly of the characters. I also knew he could evoke era and it would be shot beautifully. In most cases, this is true. In general, the characters are well-drawn. For the most part, I cared what happened to everyone (But I attribute a good deal of that to Victor Hugo as well). As for the singing… of which 98% of it is… well… it was uneven. Most surprisingly, Hugh Jackman‘s singing was weak. He is in the bulk of the movie, obviously, so the fact that he sings flat most of the time is actually rather painful. I found myself squirming in particular during “Who Am I?” and “Bring Him Home.” His acting is fair, so I suppose if one is tone deaf, one would enjoy him more. And to fans of his performance I say that you are more than welcome to like it/him, but that does not change the sonic frequencies that he emitted. The majority of them were incorrect. All of the French Revolutionaries (Marius, et al.) are very strong and did not include the annoying Broadway stare mentality I feared. In fact, they were rather inspiring. Unfortunately, Gavroche is irritating. He is too much the little Oliver Twist rather than his own character. Sasha Baron Cohen once again proves that he has real chops as the “Master of the House”. His wife, played by Helena Bonham Carter, sadly does not match up. She is just strange and uncomfortable to watch. 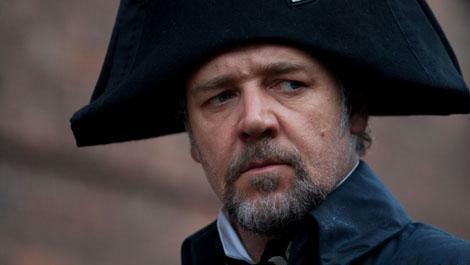 Russell Crowe, though not perfect, was surprisingly good as Javert. He did not play the role as fiercely as I would have liked and his singing voice sounds a bit modern, but he is strong. The true stars of the film are the ladies playing Fantine and Eponine. Anne Hathaway is heart-wrenchingly affecting as mother-factory-worker-turned-destitute-street-walker. And just as importantly, in a musical, she is quite literally pitch-perfect. Her voice is unaffected, pure and well under control. It was refreshing and found myself wishing there were more of her character in the show to enjoy. Similarly strong is Samantha Barks as Eponine. She is sassy, troubled and smart but manages to keep the audience’s sympathy throughout her act. Her singing is also spot-on. I look forward to seeing more of her in the future. Since these actresses have the two most famous songs from the show (I Dreamed a Dream and On My Own, respectively), it is great that they have the best pipes. The filming was a bit strange. Nearly all of it (as far as I could tell) was shot with a hand-held camera. Many scenes for shaky and uneven. Perhaps this was Hooper’s attempt to bring the audience in, but after two and a half hours it became difficult to watch. 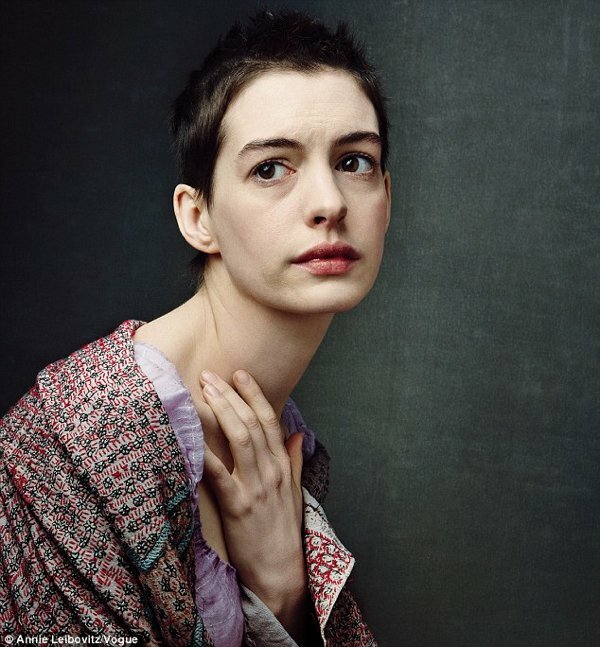 I was even less impressed with the use of the fish eye lens for Fantine’s descent. Yes, I know, he was trying to make it be Fantine’s point-of-view, funhouse mirror style, but it was first-year film student type of stuff. All style and no substance. The same with the sets. Again, I am sure it was a conscious choice, but the backgrounds were very set-like, rather than realistic. I was hoping that Hooper would have chosen for a more realistic style that film would allow for, a level of detail that isn’t possible on stage. In general, the film is watchable, but not the perfect masterpiece it could have been. A reader asked me what I though of Amanda Seyfried, who played the adult Cosette. In truth, I forgot to include her because she was really rather forgettable. Her voice tends to warble but it is on pitch. Though her singing is passable, she is incredibly boring. She has no personality. 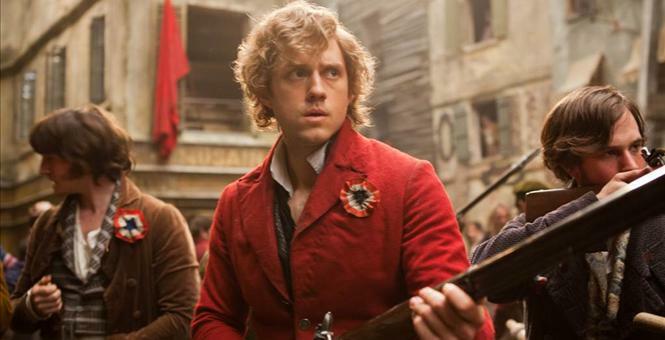 So little, in fact, that you wish Marius were actually in love Eponine rather than Cosette. The musical Les Miserable on film was amazing .The acting and singing were brilliant.The film showed the full story which was not obvious in the syagr version.